Cassie Harte’s I Did Tell, I Did remains in the top ten for paperback non-fiction this week at no 8 . Tim Newark’s sequel to Highlander, The Fighting Irish, to his regular publisher Constable. 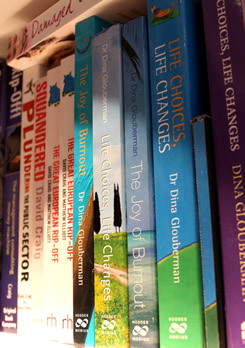 Claudia Spahr’s Good Time Baby: The essential Guide to mums over 35 to Hay House. 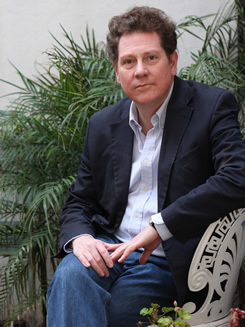 Frank Ledwidge’s Emperor’s Old Clothes, a critique of recent British military policy, to Yale. Congratulations to Cassie Harte and Cathy Glass whose memoirs, I Did Tell, I Did and The Saddest GIrl in the World, remain in the top twenty respectively at no 7 and no 19. Cassie Harte’s I Did Tell, I Did is at no 5. Alice Jamieson’s Today I’m Alice is no 12. Cathy Glass’s The Saddest GIrl in the World is no 13. Congratulations to MIke Perham who has been chosen by Time Magazine third in a list of heroes for 2009. Mel Davies’s memoir Never Say Die was launched in Swansea last night. A double spread feature in the Daily Mail appeared today and she is due to appear on This Morning later this week. Congratulations to Cassie Harte, Alice Jamieson and Cathy Glass who respectively are 4th, 6th and 9th in the Sunday Times paperback non-fiction betseller list this week. For a third week running agency authors dominate the paperback non-fiction bestseller list. 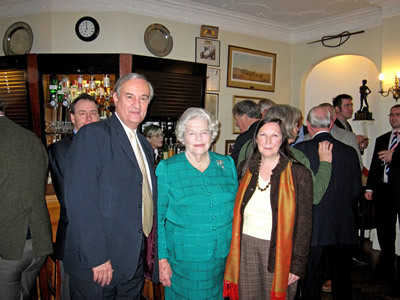 John and Celia Lee, authors of The Churchills, with Mary, The Lady Soames at the Special Forces Club for the reception for her father Winston Churchill’s birthday on Thursday 26th November.